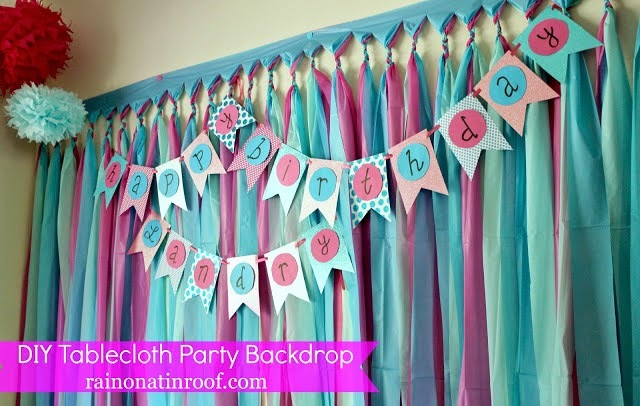 Need a party decor idea? Or a cute Valentine photo backdrop? Easy peasy! Come on in and grab a few of our plastic tablecloths (we have a huge selection of colors! ), cut in strips, and tie or braid together at the top. Such an inexpensive, darling idea! Click picture for full deets.